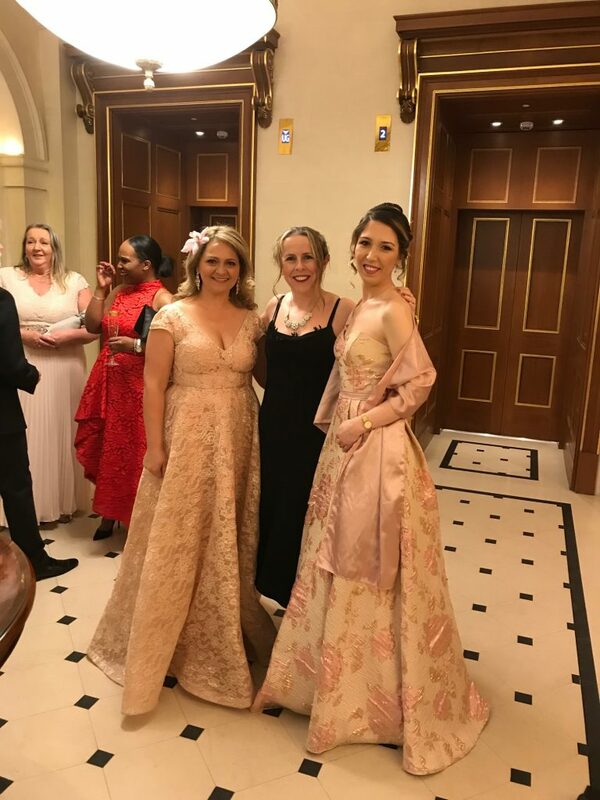 Throughout the years I have been privileged to attend some stunning soirees, and the Karen Tran Royal Gala at the Lanesborough was no exception. 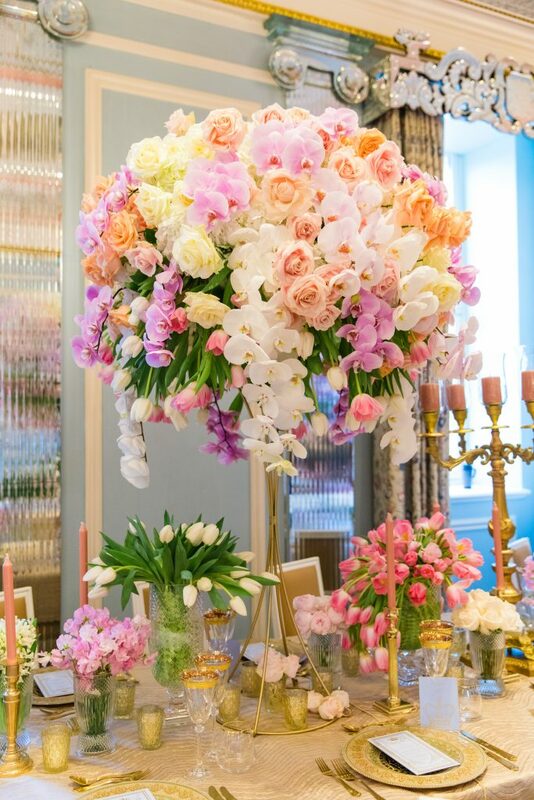 World renowned florist Karen Tran chose London to host one of her 3 day masterclasses with students attending from all across the globe. During the 3 days they received tuition from Karen on how to create exquisitely beautiful masterpieces. I was asked to present on day 1 and of course was delighted to oblige. 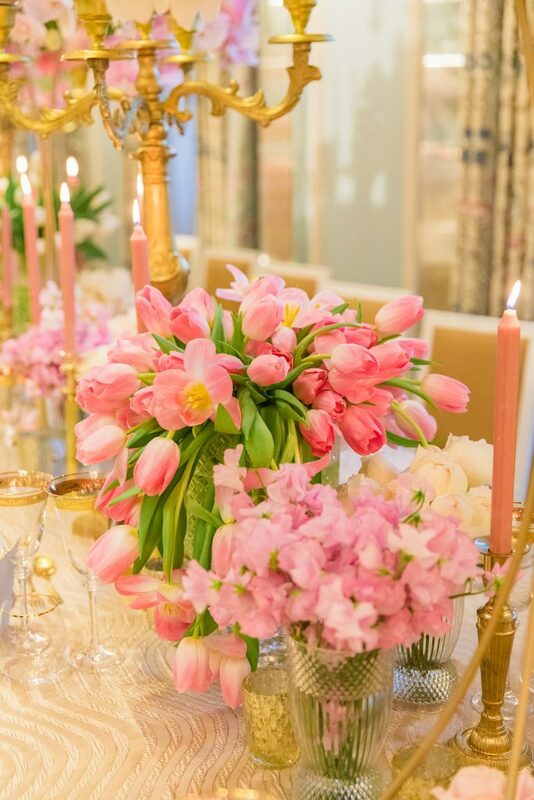 I spoke about luxury weddings, both how to get them but also how to work with high-end luxury clients. When I entered the room I was delighted to see some past UKAWP students, both from the UK and some from Dubai. 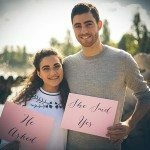 Was so lovely hearing their news. 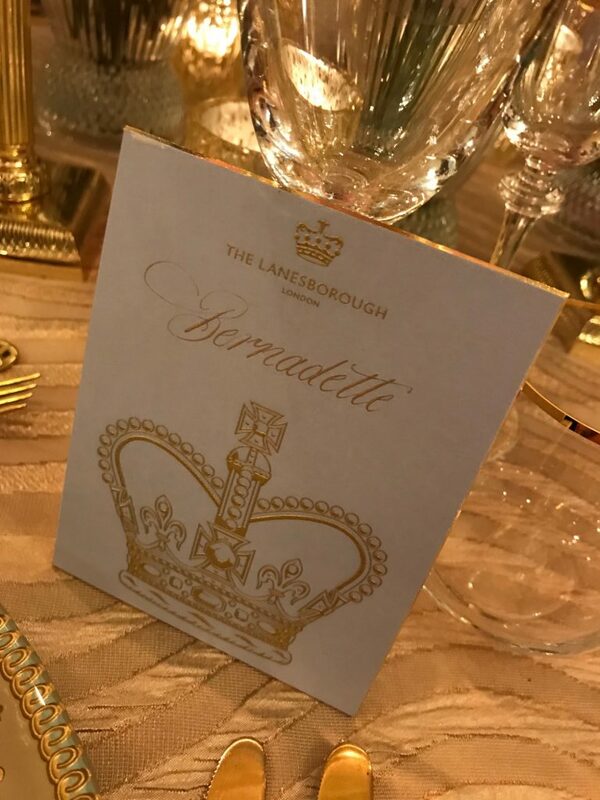 2 days later I was back at the Lanesborough, this time to attend the royal inspired gala dinner, which featured the fabulous floral arrangements made by all the students. 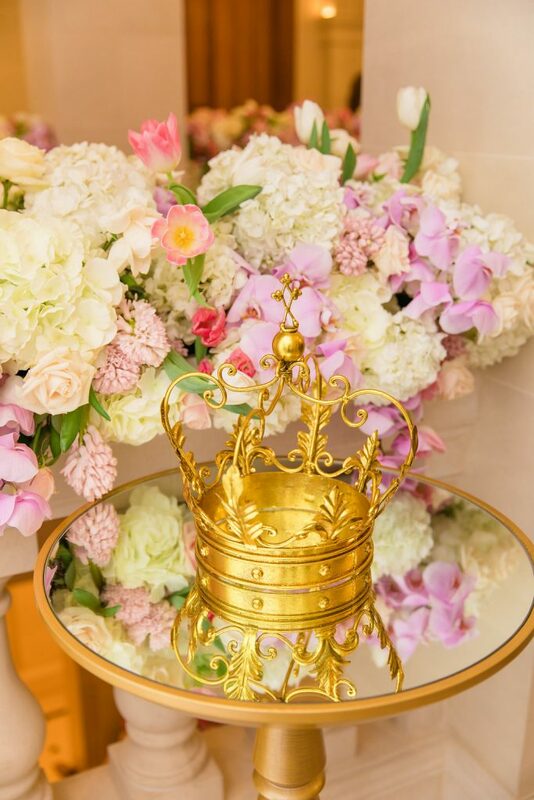 Karen produced a design that would be perfect for a royal wedding such as Prince Harry and Meghan Markle. 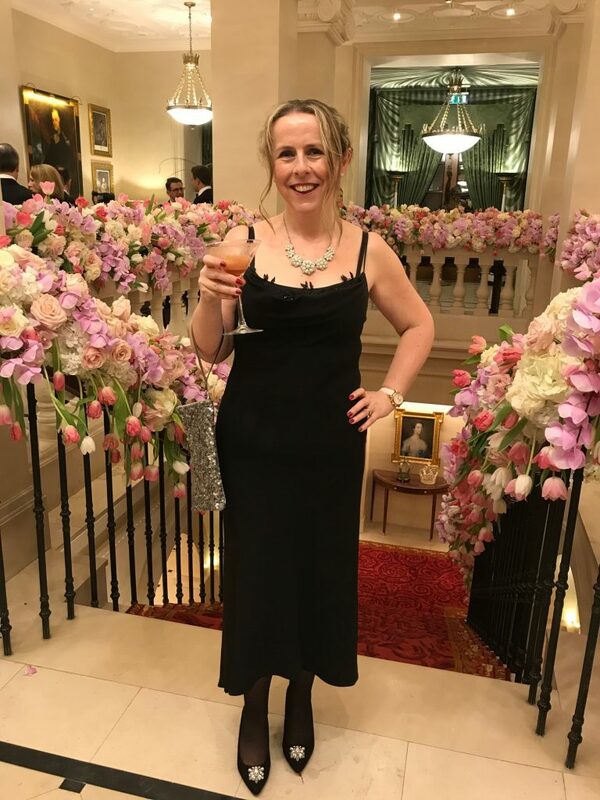 When I arrived in my simple black cocktail dress, I was met by students in ball gowns to match the décor. 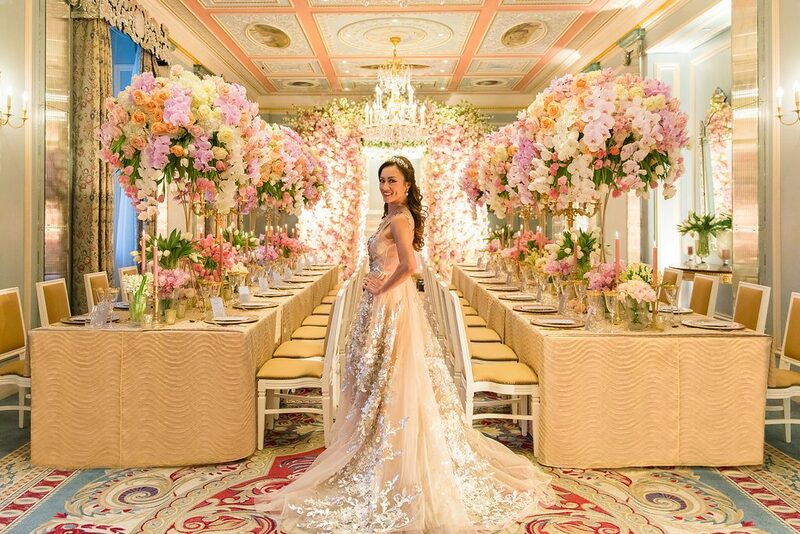 If only I had a ball gown in my wardrobe I for sure would have worn it. The evening started with a cocktail reception in the Great Hall where the grand staircase was situated. 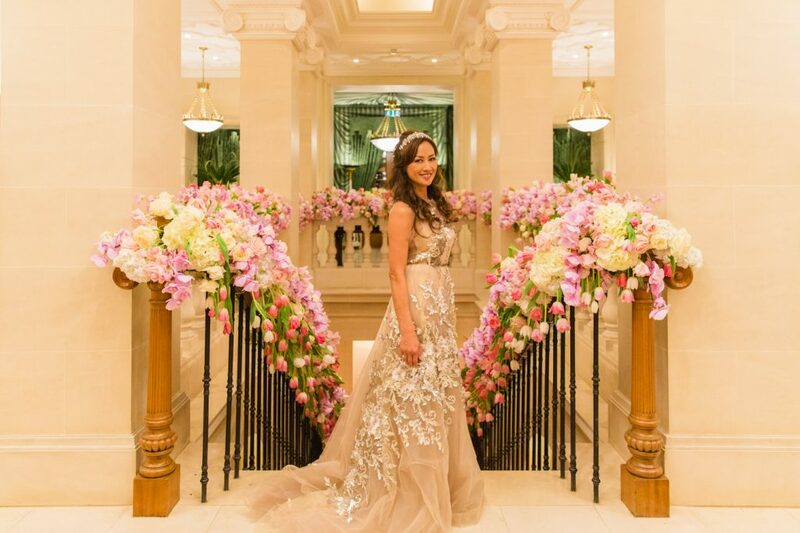 In true Karen Tran style the staircase had been decorated with thousands and thousands of flowers. 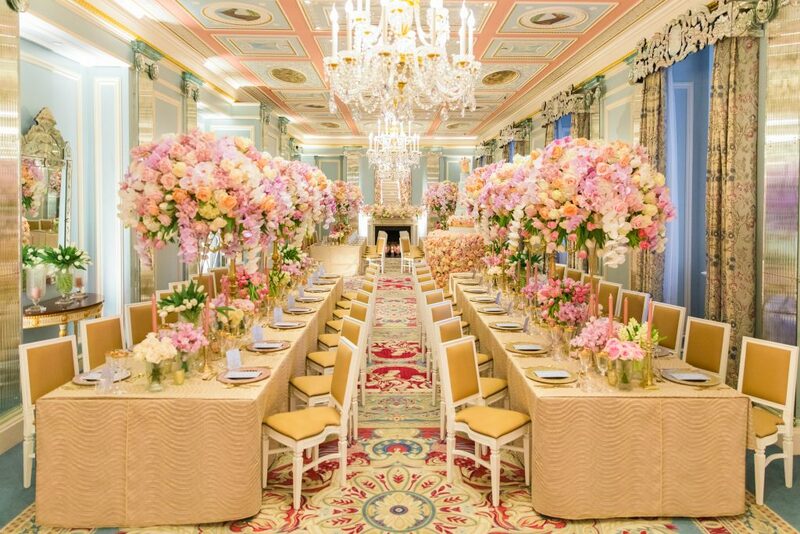 Before long we were called into the Belgravia room where dinner would be served. 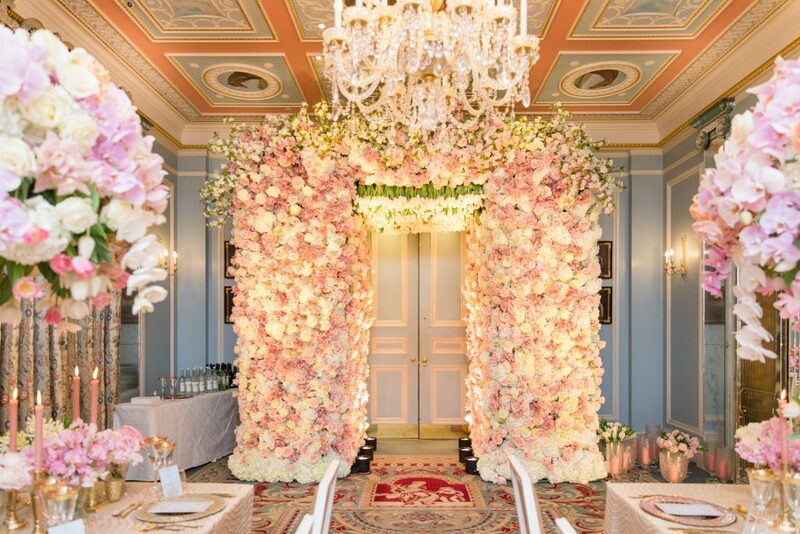 Karen transformed the wedgwood blue Belgravia room designed by the late Albert Pinto into a floral wonderland featuring the most dramatic floral tunnel and tablescape laden with exquisite blooms supplied by Piet Van Kampen of G Fresh. 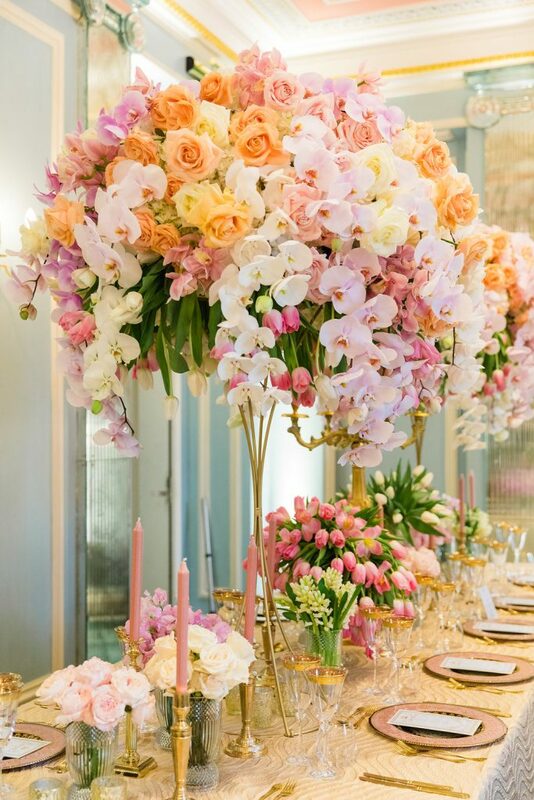 She used a combination of blush and peach roses, white hydrangeas, seasonal tulips in white and pinks, hyacinths, phaelanopsis and cymbidium orchids to create her signature tall cascading table arrangements. 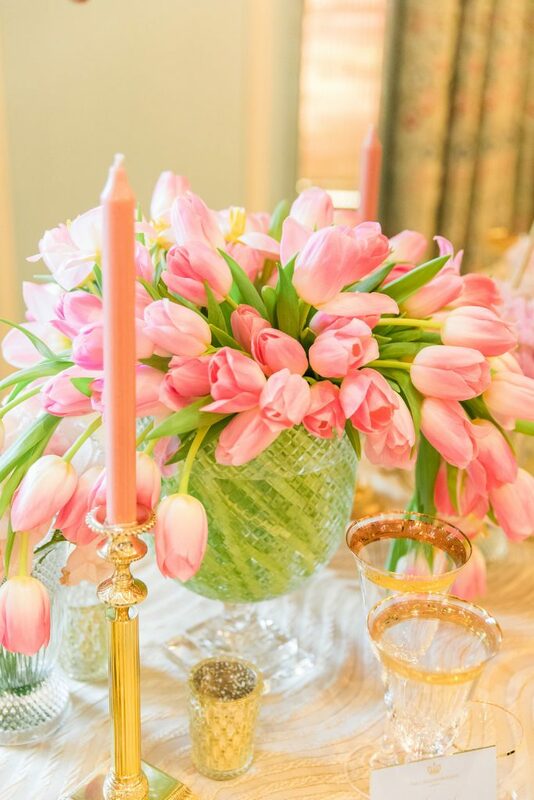 In between the tall arrangements were baroque gold candlelabras and along the length of the tables were low groupings of flowers in beautiful hand cut vases and gold candlesticks. 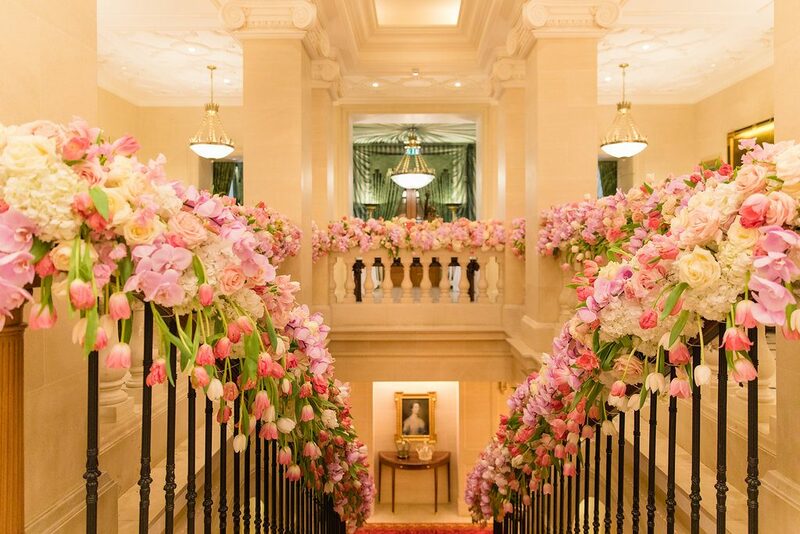 Equally as stunning was the floral tunnel and archway which framed the entrance into the Belgravia room. 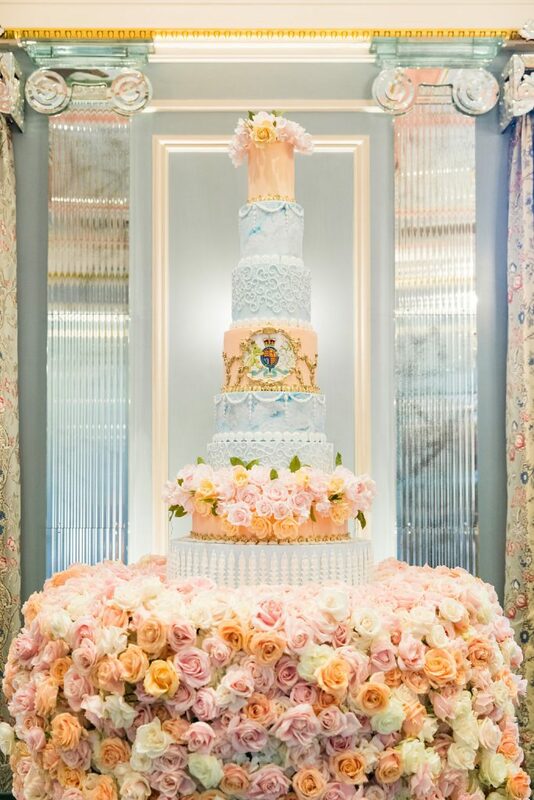 This was 12feet tall and 14 feet wide and certainly made you feel like royalty walking through it. 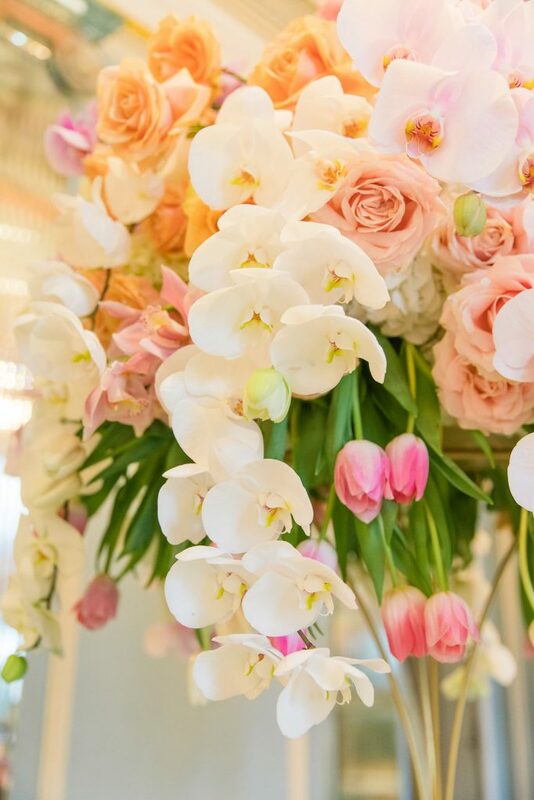 This was decorated with thousands of roses, hydrangeas and orchids. 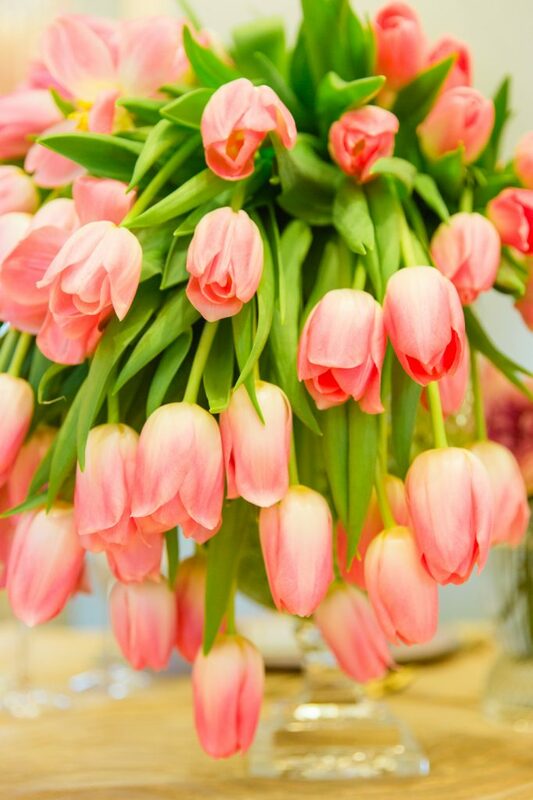 It also featured one of my favourite spring flowers, namely tulips which were stunning hanging down above you. 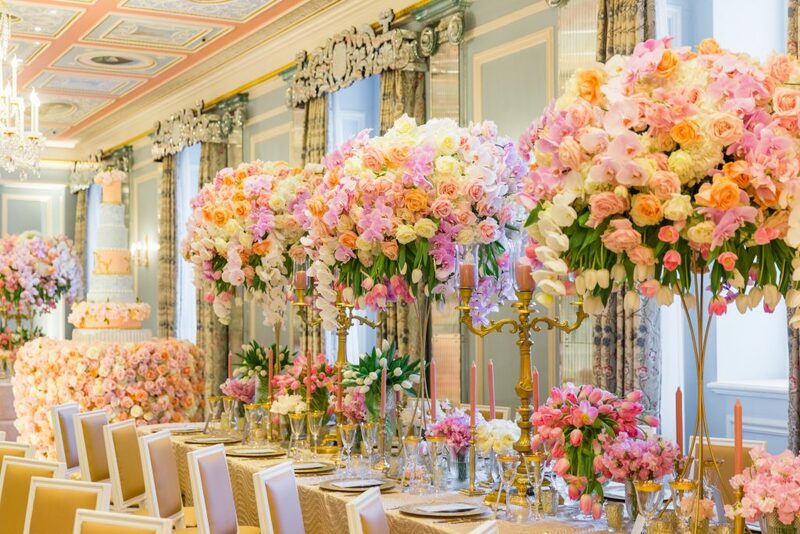 I wish I could emphasise how fragranced the room was, I’m a big believer in creating a design that appeals to all your senses which this certainly did. Cake designer Elizabeth Cake Emporium was one of the organisers of the masterclass and as you could expect, you utterly wowed us with her impressive 6 foot cake. 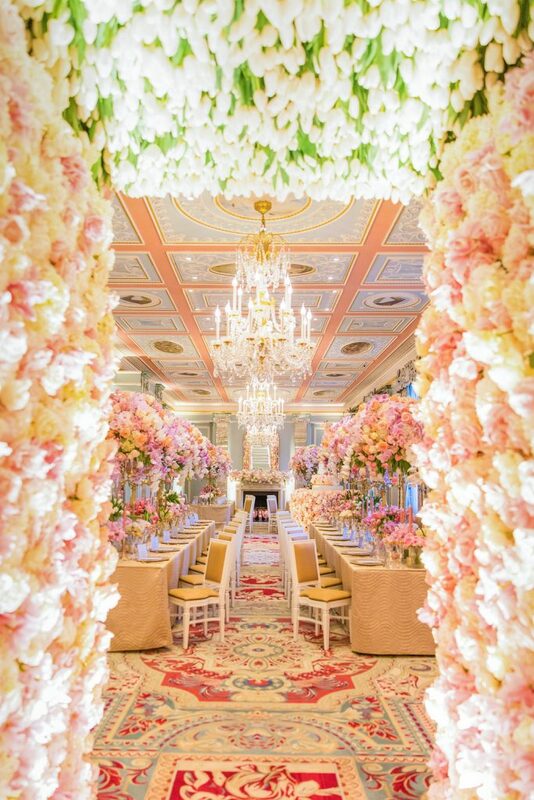 Decorated with a flower carpet in the centre of the room it certainly became a focal point. 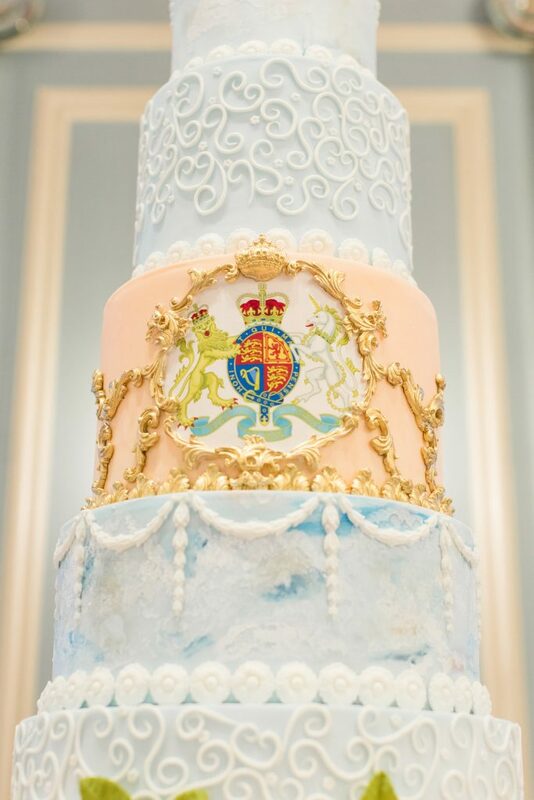 The design was wedgwood blue and peach inspired by the ceiling of the Belgravia room, it featured hand painted clouds, the signature mouldings of the baroque design of the ceiling, hand made peach and pink sugar roses, piped scroll work and a hand painted royal crest. 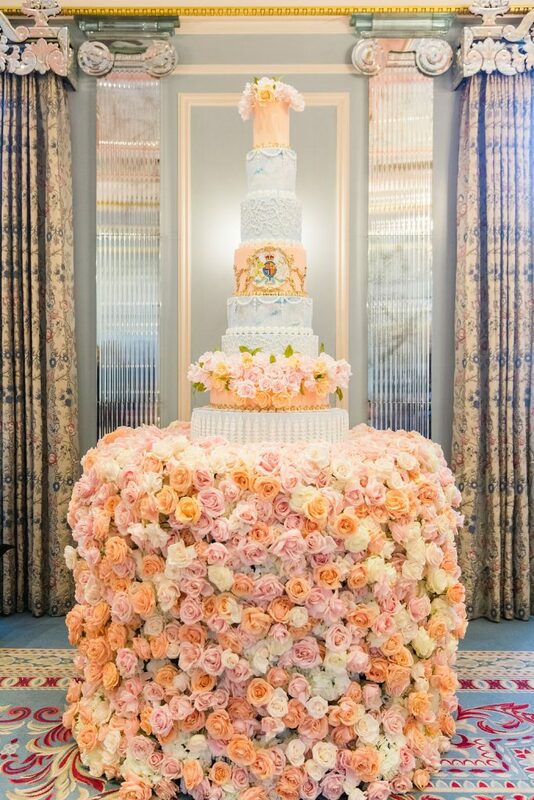 The cake sat on table completely covered with a ‘cloth’ of peach and pink roses. 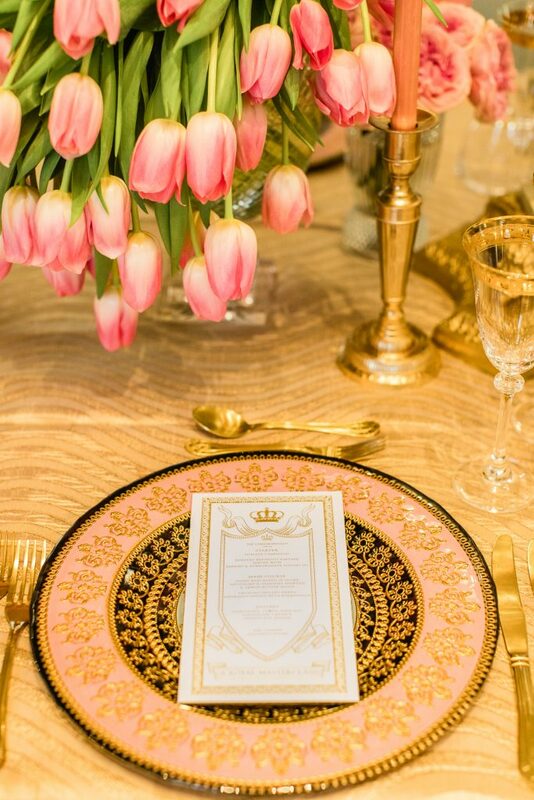 After being suitably wowed by the décor I found my seat and took a moment to appreciate the beautiful table settings and stationery, my place card will remain a keepsake. 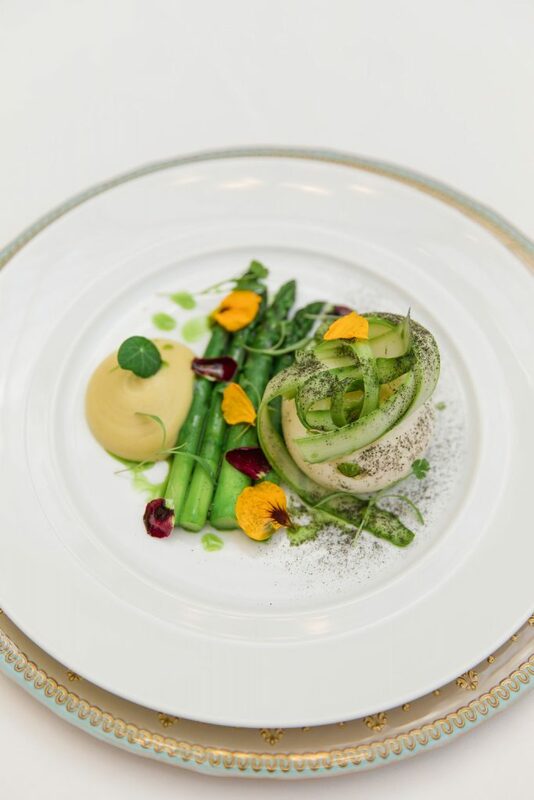 As you could expect with the Lanesborough the food and service was impeccable. 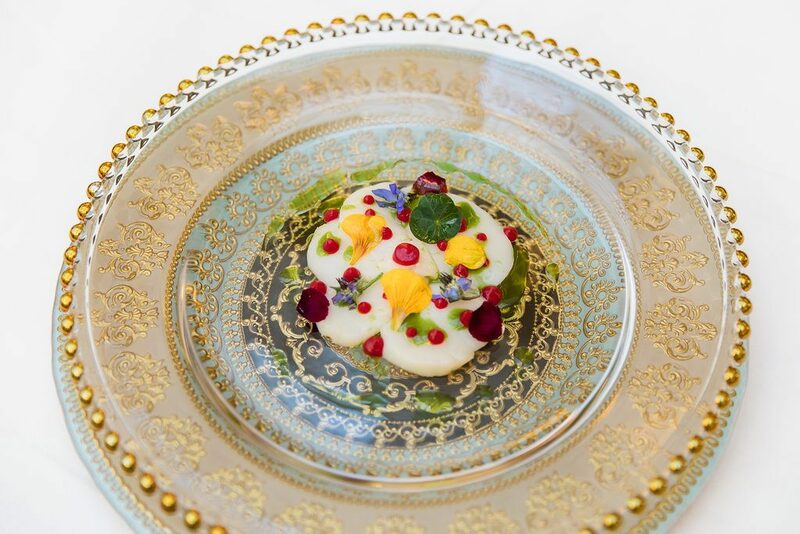 We were served scallop carpaccio, stone bass in globe artichoke and a decadent chocolate streusel. During dinner we were treated to an A Capella operatic performance as well. 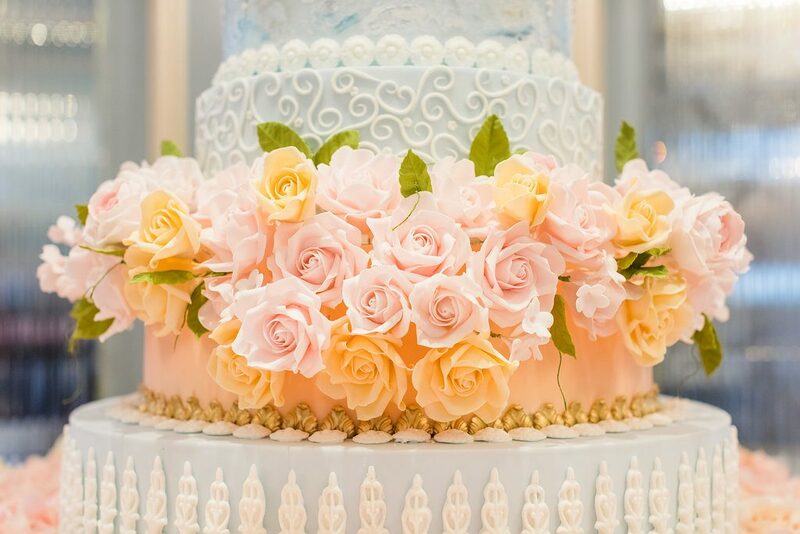 The Cake designer Elizabeth’s Cake Emporium, London Florist WildAbout Flowers and London Wedding and Event Planner, Planned for Perfection!